22-A-G, Jln PJU 5/21, The Strand, Kota Damansara, 47810 Petaling Jaya, Selangor. From The Curve, head towards Kota Damansara until you see the Giza shopping mall on your right. Turn right at the traffic lights, and turn right again at the first junction. 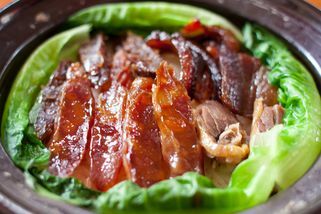 Gong Fu Kitchen is a truly authentic, traditional Chinese restaurant. 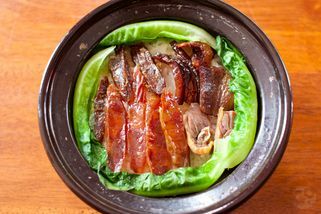 The chef, who prepares the food, is from China, so it doesn’t get more authentic than this. 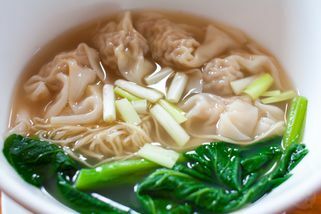 There are favourites such a wonton noodles as well as more traditional dishes such as Chinese sausages and claypot rice. The food prices are very reasonable as well. 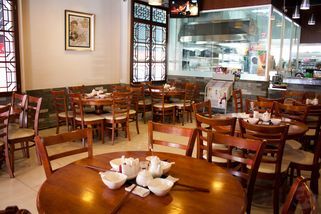 The ambience at Gong Fu Kitchen is very Chinese—there’s red everywhere you look, and traditional round tables with lots of seating around. Instead of a closed kitchen, there’s a glass petition so you can see exactly what’s going on in the kitchen, even watch your food being prepared if you want! The place has a relaxing atmosphere and is great for families and friends alike. 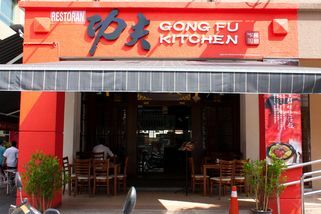 Well, Gong Fu Kitchen just a small restaurant at Kota Damansara. We had ordered Dry GF Noodle, Wantan MC Dai Bou, Honey Lemontea & Frosty Cofflo. 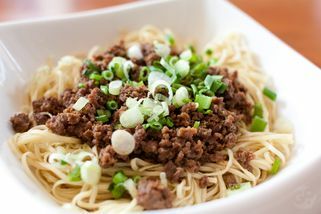 The GF Noodle are just okay, nothing special & nothing inside! =.= Like a vege noodle. haha... Taste...no taste.. even the Wantan MC Dai Bou also just so so.